Our in-ground Commercial Nautical Flagpoles can be used in Marinas, Yacht Clubs, commercial & residential Boat Docks and in other marine settings. Available in various sizes that range from 20’ to 80’ in height, these flag poles are available in different models like single mast and double mast. 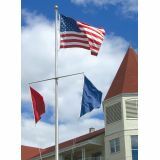 Made in USA, the commercial nautical flagpole offered in Tuff Flags can be safely used in high wind areas and itcomes with all the accessories required to make the presentation a dazzling affair.Shop from our collection of Commercial Nautical Flagpoles and avail the advantage of the best prices, quick shipping and much more! 100% customer satisfaction guaranteed! 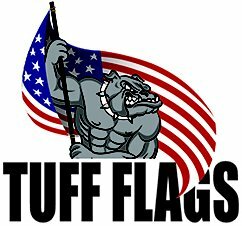 The Commercial Nautical Flagpoles at Tuff Flags have a smooth lustre and fine finish which makes it visually appealing and maintenance free. If you have been looking for a perfect flagpole for your boat dock, beach home, marina, yacht club or any nautical setting, these Commercial Nautical Flagpoles will be a perfect choice. Our flagpoles come with the complete set of accessories of installation right from the gold ball atop the flag to the solid base foundation. These nautical flagpoles that represent the sailing vessels from the maritime heritage can be used to promote any nautical themed events or businesses. Our Nautical Flagpoles are equipped with multiple halyards that allow you to fly multiple flags or special pennants to add up to the character and the festive milieu of the event.Add a special touch to your home, marina, yacht club or beach resort with these pretty fiberglass nautical flagpoles that are available in a variety of heights and diameters. 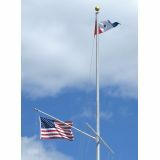 Browse our collection of Commercial Nautical Flagpoles and pick up a model that matches your needs. 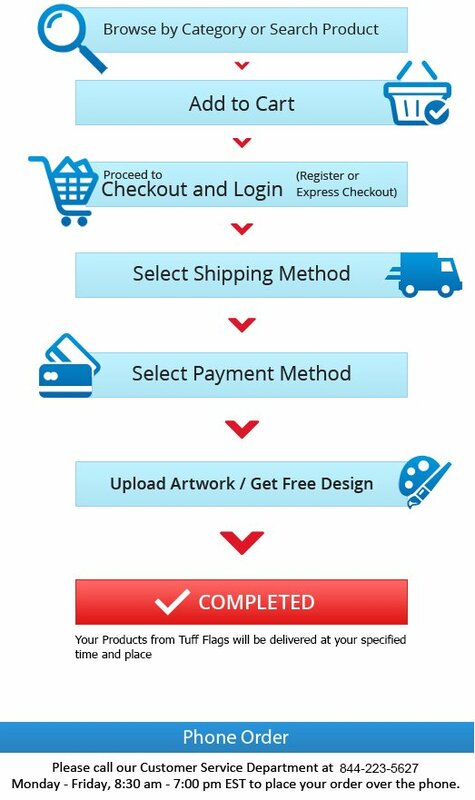 Should you need any tips or assistance, feel free to call us at our toll free number (888) 278-3524 or email us at customercare@tuffflags.com.